Come join us to give and receive Tarot readings. 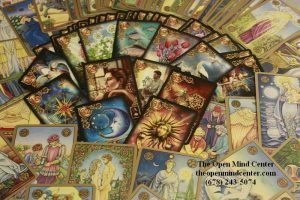 Both first timers and seasoned Tarot readers will have the opportunity to participate and give each other readings. This is the perfect way to connect, practice and learn more hands on. Supervised by Micel Enriquez!